Messy weather is no problem for the waterproof "Beverly-AR" boot from Aravon! It is made of waterproof materials and seam-sealed to keep out dampness. Super-convenient front zipper opening and adjustable hook-and-loop heel strap. 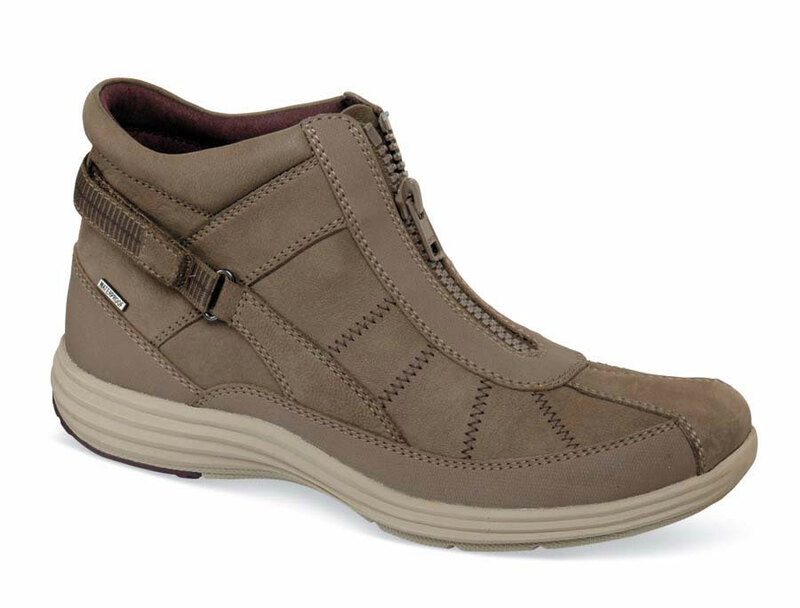 Removable EVA and Memory Foam footbed with Stability Cradle. 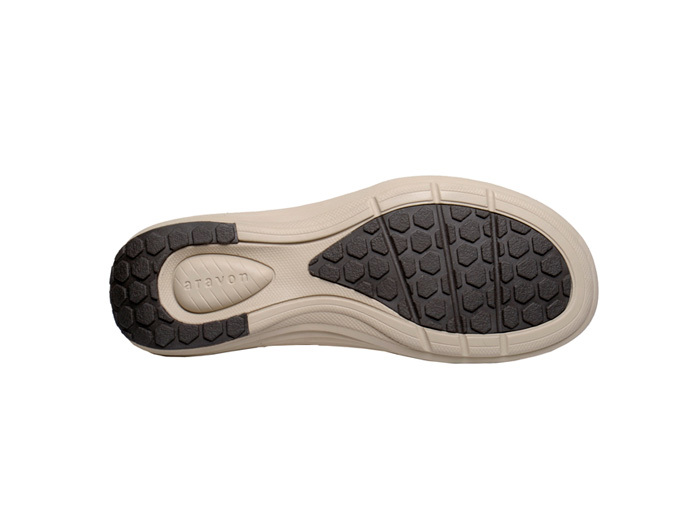 EVA/rubber unit sole with nylon shank and 11/8 inch heel height. Women's sizes 6½–10, 11 and 12 in 2E width.